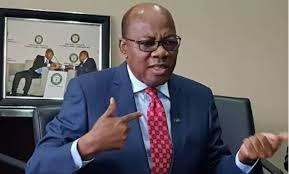 In a letter addressed to President Buhari on Wednesday, Agbakoba said that the nation’s general election was just three months away and the unsigned Bill should serve as legal regime giving credibility to the 2019 election. Agbakoba wrote: “We are concerned that the Electoral Act (Amendment) Bill 2018 has not been signed into law 3 months into the general election in spite of the fact that it has long been transmitted by the National Assembly. Agbakoba continued in his letter to Buhari that “If you recall, the late signing of the Electoral Act (Amendment) Bill 2015 created so much confusion and resulted in widespread electoral malpractices. If you also recall, the late signing resulted in conflicting decisions in the courts, especially on the use of card readers. He also reminded Mr. President that, “The Electoral Act (Amendment) Bill 2018 was passed by the National Assembly to address all the challenges created by the Electoral Act (Amendment) Bill 2015. It is therefore important that you sign into law, the Electoral Act (Amendment) Bill 2018.